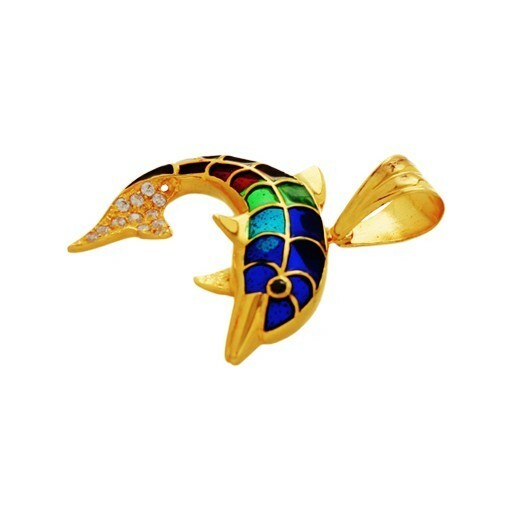 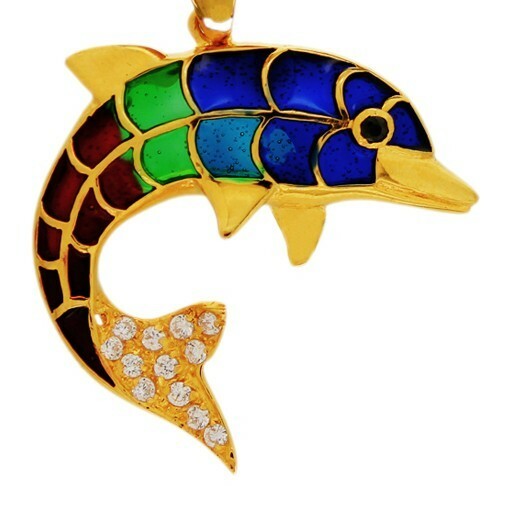 A magnificent and colorful rendition of the beauty and variety of colour and form found in the oceans represented by the playful and lovable dolphin. Brought to life in spectacular blues, greens and crystals in an artfully crafted gold pendant that reflects life in a kaleidoscope of colour. 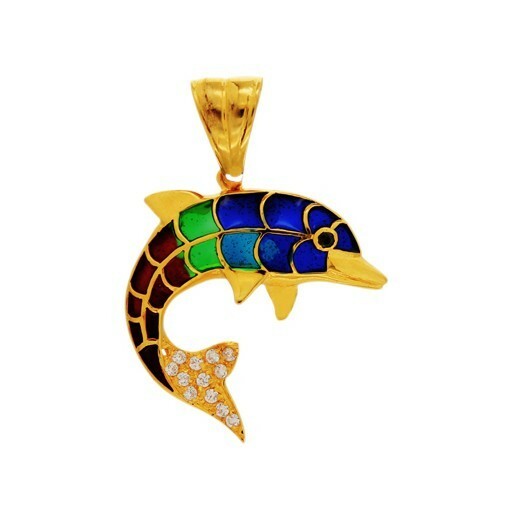 A spectacular creation for all nature and wildlife lovers.